en Resilience research and policy/practice discourse in health, social, behavioral, and environmental sciences over the last ten years. Background: Resilience research has gained increased scientific interest and political currency over the last ten years. Objective: To set this volume in the wider context of scholarly debate conducted in previous special theme issue and/or special section publications of refereed journals on resilience and related concepts (1998-2008). Method: Peer reviewed journals of health, social, behavioral, and environmental sciences were searched systematically for articles on resilience and/or related themes published as a set. Non-English language publications were included, while those involving non-human subjects were excluded. Results: A total of fifteen journal special issues and/or special sections (including a debate and a roundtable discussion) on resilience and/or related themes were retrieved and examined with the aim of teasing out salient points of direct relevance to African social policy and health care systems. 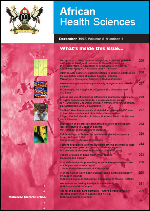 Viewed chronologically, this series of public discussions and debates charts a progressive paradigm shift from the pathogenic perspectives on risk and vulnerability to a clear turn of attention to health-centered approaches to building resilience to disasters and preventing vulnerability to disease, social dysfunction, human and environmental resource depletion. Conclusion: Resilience is a dynamic and multi-dimensional process of adaptation to adverse and/or turbulent changes in human, institutional, and ecological systems across scales, and thus requires a composite, multi-faceted Resilience Index (RI), in order to be meaningfully gauged. Collaborative links between interdisciplinary research institutions, policy makers and practitioners involved in promoting sustainable social and health care systems are called for, particularly in Africa. Adaptive learning, Disaster mitigation, Human resilience, Resilience Index, Social-ecological resilience, sustainability of human and natural resource management systems.